Can you help setting up a bird feeder? Looks like a Dunnock. Probably not enjoying the weather either. 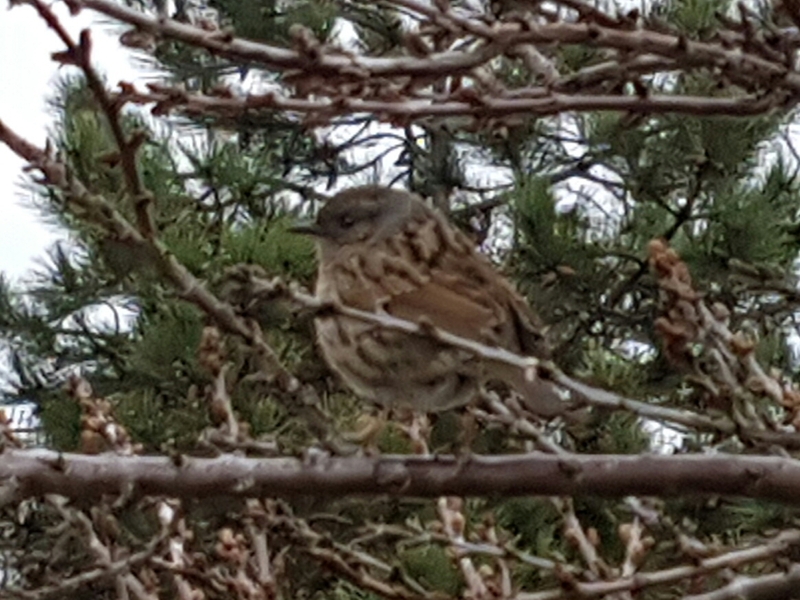 Looks like the same dunnock in the same tree as the other thread.